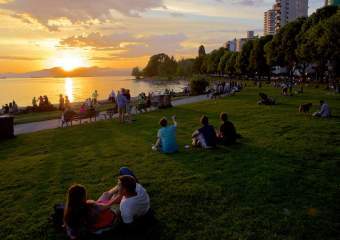 Vancouver is becoming an even more desirable location for U.K. organizations looking for long-haul meeting and incentive destinations thanks to increased flight capacities and an amazing new array of experiences and products. 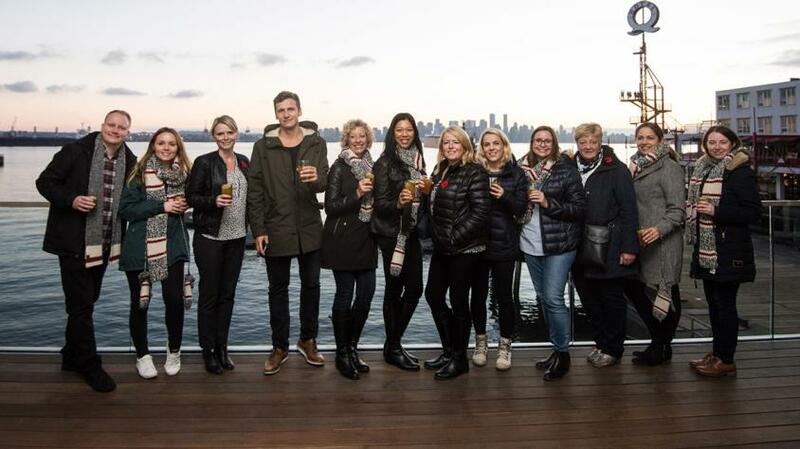 Tourism Vancouver recently hosted a UK/Europe Educational Familiarization Tour for some of their top clients, giving them the opportunity to discover Vancouver from both a business and leisure perspective. In honour of the U.K. born and bread band, The Beatles, here are nine songs that perfectly described the experience. Look up. 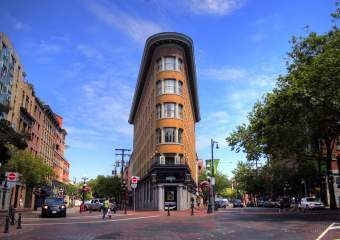 Look way up! 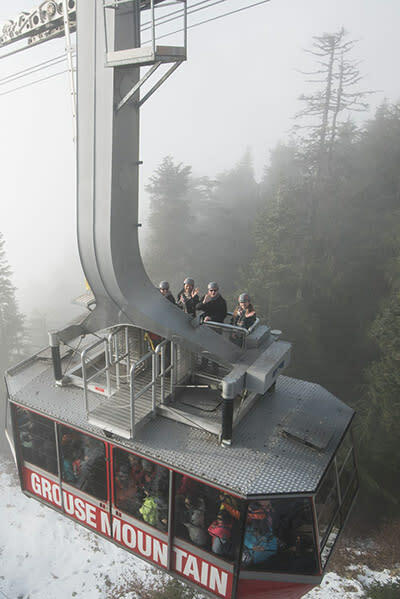 Grouse Mountain isn’t called ‘The Peak of Vancouver’ for nothing. Going up the Skyride with the first skiers of the season, the clients were excited to experience the ‘Skyride Surf Adventure’ on the way down. 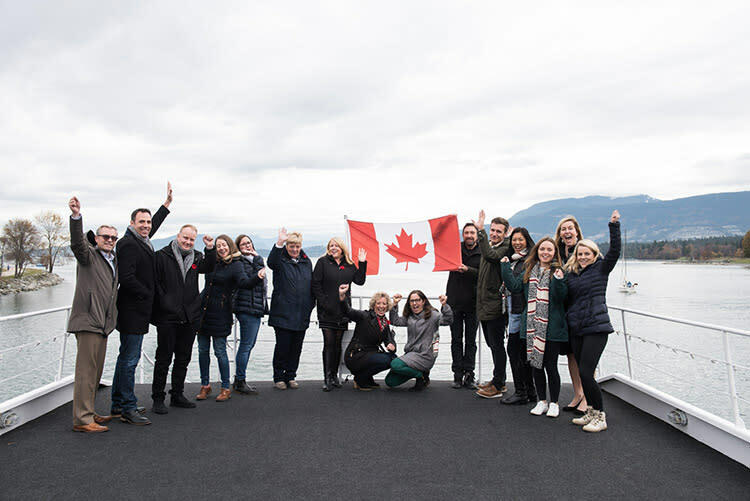 A morning breakfast cruise with Pacific Yacht Charters will make you want to come together and yell ‘O Canada’ at the top of your lungs. 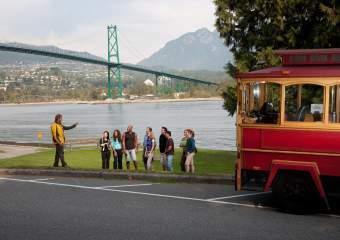 Showcasing the vibrant activity of Vancouver’s busy harbours and its pristine local beaches, the journey toured some of the city’s most popular landmarks. Just like you can’t buy love, you definitely cannot buy this view - but you can take a picture to make it last longer. 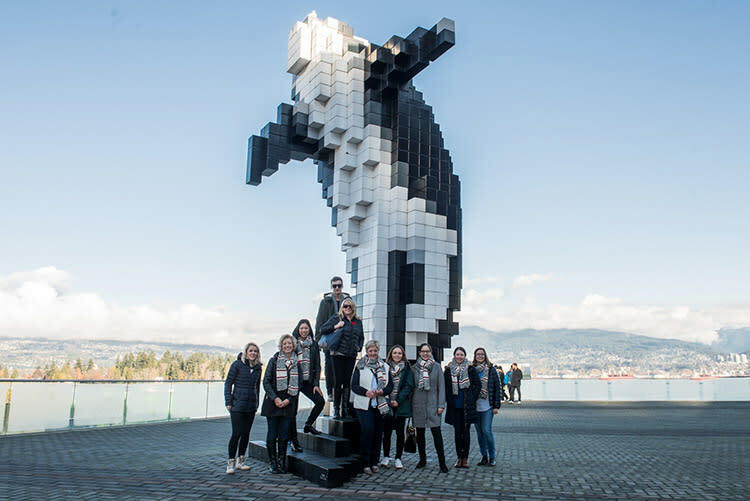 Clear skies, mountain views, and a digital Orca! What more do you want? You can’t explore a city on an empty stomach. 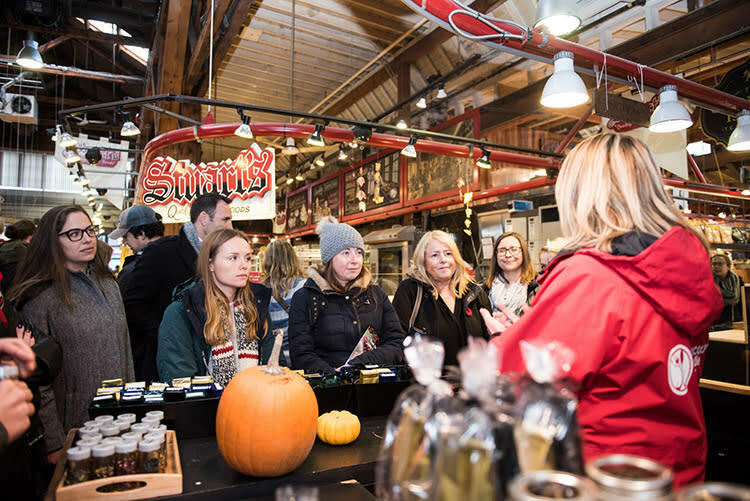 A Vancouver Foodie Tours guide at Granville Island Public Market, explained the ins and outs of the diverse Vancouver food scene. 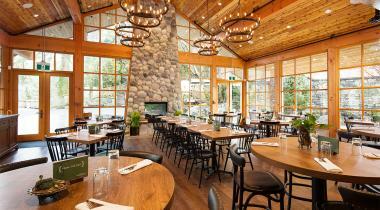 The market is a key source for local restaurant chefs that sustainably grow their own ingredients. 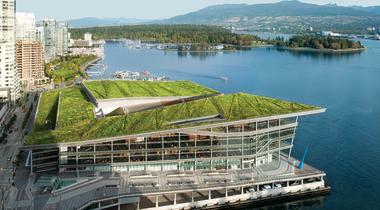 And did you know the Vancouver Convention Centre makes their own honey on the six-acre living green roof? What an unBEElievable idea! 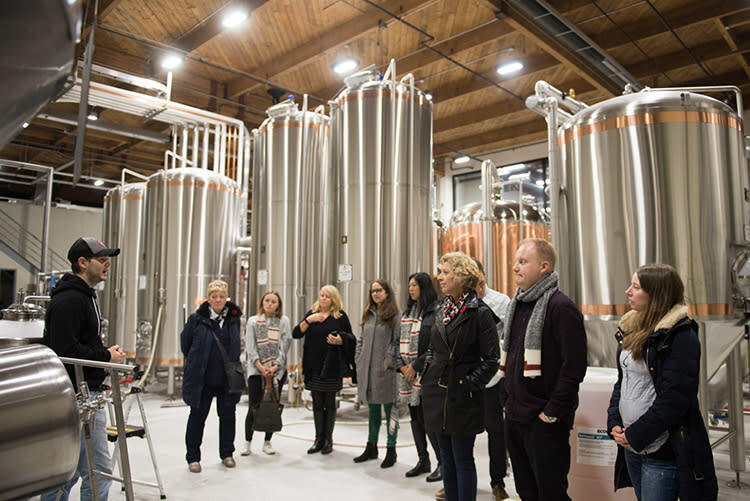 iconic Granville Island, a brew master teaches the students all about the sweet science of hops and grains. A few pints will make you want to do the Twist and Shout! 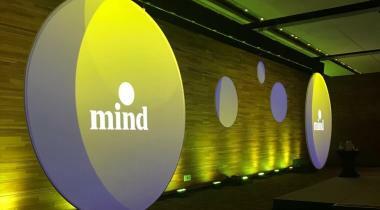 Ever wanted to find out what happens when the world revolves around you? 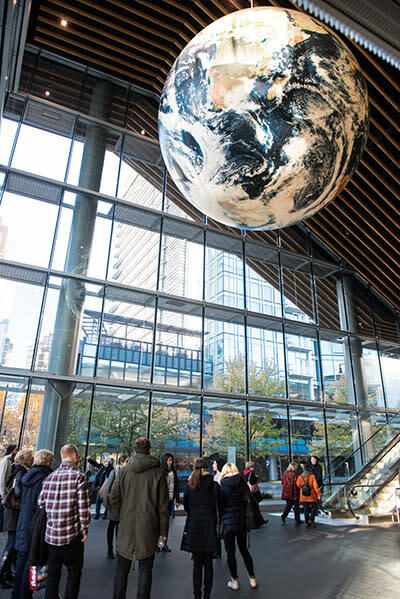 Clients found out first hand while taking a tour of the Vancouver Convention Centre, one of the best convention centres in the world. 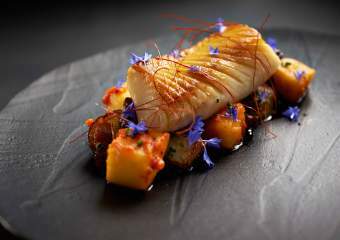 It is also the tastiest and greenest too! 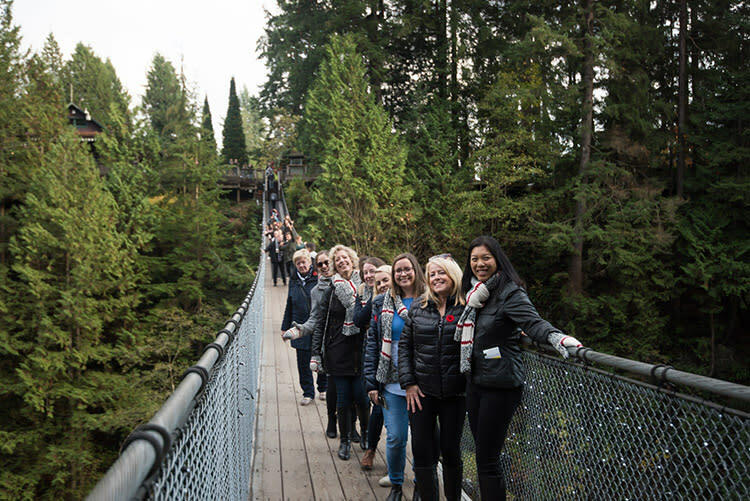 You might need to hold someone’s hand as you walk across the Capilano Suspension Bridge Park but with so many activities to choose from, you won’t have time to be afraid of heights. 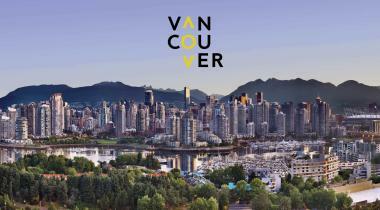 All the Yellow Submarines were booked for the day so instead of transporting under water, they decided to transport over water thanks to Harbour Air, and were able to get a bird’s eye view of Vancouver. 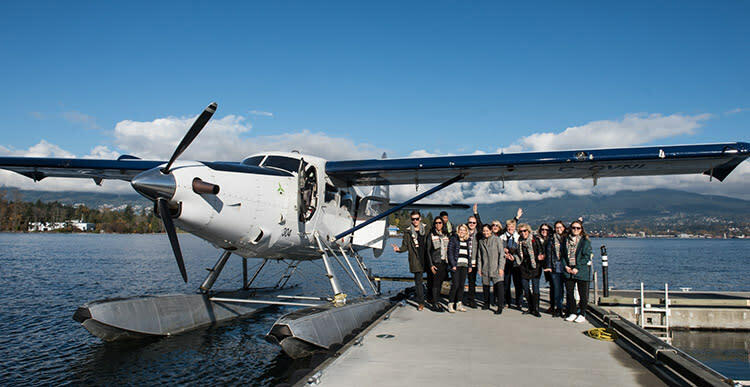 A special thanks to the following partners who helped make this Educational Tour possible: Vancouver Hotel Destination Association, Cantrav Services, Pan Pacific Vancouver, and Four Seasons Resort Whistler. 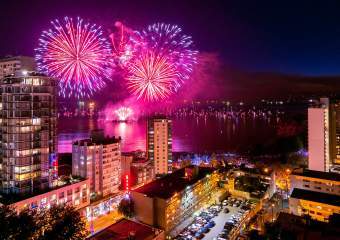 Photo Credit: Jessica MacAleese of Vision Event Photography Inc.